There’s a lot to thank Nicholas Hytner for. Good theatre tickets costing less than most cinemas, Sunday performances and Simon Russell Beale on tap. It’s not his fault that during his 12-year tenure at the National Theatre he wildly discombobulated expectations of what artistic directors could do. But that is what happened, because Hytner is all-too-rare in that he is able to run a business and be a good director. His collaborator, Nick Starr, is a brilliant producer and they continue to work hand in glove. But talk to anybody who worked with Hytner at the National and the stories are legion about his astonishing ability to lead his own productions and still involve himself in all aspects of the business. Case in point: some artistic directors are just wheeled out in front of donors, shake hands and retreat to rehearsals. Hytner built the type of close relationships with funders most directors reserve for their leading actors. Look at the creation of the Bridge Theatre for evidence. It’s time to rethink the role of the artistic director. In the wake of Hytner, it’s assumed that a single figure can be as brilliant directing as they are a chief executive, ultimately responsible for everything. And numerous artistic directors have since emerged in the Hytner-mould as director/entrepreneurs. Yet, let’s be frank. With the occasional exception, artistic directors are rarely the best available directors for a production. But as artistic directors control the vast majority of UK theatre, they prioritise their own opportunities. My fear is it leads to too much mediocrity. Let’s first acknowledge the complexity of running a modern theatre. Most subsidised companies operate as a charity and as such have a volunteer board that oversees finances and policy. The day-to-day management resides with the chief executive, who is often also the artistic director. To take a snapshot at my company HighTide , in the last month alone we’ve been: finalising our four-year business plan, the corresponding budgets, the detailed annual budget for this financial year, the cash flow, the fundraising plan, revising safeguarding policies in wake of Weinstein and #MeToo and becoming GDPR ready (Google it). That’s before reading scripts, meeting artists, pre-production on shows and all the rest. At HighTide, we don’t even have a building. As the chief executive, this business planning is my responsibility and not just the work of HighTide’s brilliant executive director Francesca Clark. Theatre boards often agonise over management structures. There are really only three models. The first is to have a chief executive who manages the artistic director(s) – this structure is popular in large businesses such as Nottingham Playhouse and Northampton’s Royal and Derngate and multi-art form venues such as Manchester’s Home and London’s Barbican. Another is the joint-chief executive model, where ultimate responsibility is shared between the artistic and executive directors, such as in the Lyric Hammersmith and Edinburgh’s Traverse Theatre. 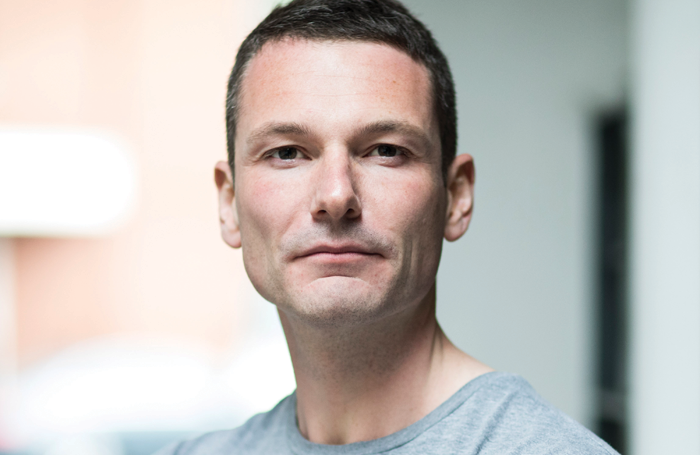 And the third is sole artistic director/chief executive who is senior to an executive director, which is the model at London theatres the Royal Court, Donmar Warehouse, Young Vic and National Theatre. All three models are complex and raise valid questions about the skills needed to lead a theatre company. In recent years, our business has learnt there can be no ambiguity – the chief executive leads the business. In Tessa Ross’ case at the National Theatre, it was a mistake to give her the title of chief executive if, in reality, that wasn’t her job. And Sally Greene is right to relinquish the title of chief executive at the Old Vic  – though the theatre is wrong to retire the title completely, because somebody has to take responsibility for the day-to-day management as devolved from the trustees. Not only has the business of running theatres become more professional, but the financing is much more competitive and reliant on many discrete sources than ever before. Directing is already a full-time job. So it’s understandable that, as the business of running a theatre expands, it becomes increasingly difficult to do two jobs well. But elevating the executive director position to joint chief executive is not the bulletproof answer. Amber Massie-Blomfield has recently written in this paper about the pivotal role the executive director plays and in practice every artistic and executive director partnership is unique to those individuals and the needs of their theatre. The inherent problem with the joint-chief-executive model is the scenario where artistic and executive directors disagree. It’s untenable for a board to back one CEO over another. So instead the joint CEOs have to resolve everything together and this lacks transparency. The tension lies in how we think about the artistic director role. In questioning the job specification, there’s a huge opportunity to create greater diversity in who leads our theatres. The nub of the issue is that most artistic directors are practising directors. There’s no real reason this should be the case. One of the most overlooked and misunderstood roles is that of the producer. It was great to read all the testimonials about David Lan’s brilliance as artistic director of the Young Vic because his programming really was unsurpassable. But, I’d argue that the breadth of David’s vision, from the shows to What Next? to World Stages London, couldn’t be created by an artist focused on their own craft as a director. It’s very surprising that more artistic producers aren’t artistic directors. There isn’t a theatre employee who doesn’t raise an eyebrow when they hear: “Our artistic director is in rehearsals”, because, no matter the size of the theatre, the decision-making process slows when the chief executive is unavailable to make decisions. It is often argued that having a directing artistic director is cost-effective, but any producer worth their salt can raise the fee to pay a freelance director in one day. There’s no real training programme to run a theatre business. So when freelance directors are appointed as a theatre’s artistic director, as they so often are, what is it from their experience that secures the job? Tangibly, it’s their CV of past productions. But what of their business experience? Most directors aren’t experienced in running businesses. But that hasn’t stopped several from believing they can and importantly convincing boards of it too. This level of self-confidence is certainly more common in those that have had access to educational and business opportunities in their lives. Perhaps this is part of the reason why artistic directors are still quite a homogeneous lot. What is more important to be a good artistic director: being a creative visionary or the ability to run a business? They’re not necessarily mutually exclusive. The most common model, that of the directing artistic director who is also CEO, plays a big part in creating the homogeneity of our theatre. And if we want to make British theatre more representative of the audiences we say we want to reach then we all need to broaden how we think about leadership and artistic directors.